I always get asked, what is a good tool for this or can I do this, this is very closely followed by …… but I don’t have any budget. OK, so good news/bad news scenario, while there are a lot of great free tools out there, you might find that trying to use a free or freemium tool actually takes you longer to complete something as it is not truly fit for purpose, should this happen I would argue that this free software has a cost attached, your time! However when you are just starting out, it is important to keep costs to a minimum and manage those monthly subscriptions carefully. It is all too easy for them to sneak up on you and create large monthly overheads. So, I have scoured the internet in search of free tools or services with a freemium offering to help grow your business, and when they have helped you grow to a certain level, you can consider becoming a paying customer; they helped you grow, perhaps time to pay back the favour! The Name App – You have a brilliant idea, even come up with a unique name for it, now let’s see if it has available domains and usernames on the major platforms. Naminum – Naminum is the leading free startup name, company name, business name and website name generator on the web. Short Domain Search – An up-to-date list of short, available, single word domain names. Wordoid – A cozy place to pick a short and catchy name for your product, company or domain. Great source of quirky ideas of available domain names that roll off the tongue. Hipster Business – Dude, you should buy that domain name. Impossibility – Find incredible domain names using our ultra-fast domain name generator. It’s the best domain name search engine ever, no kidding. Lean Domain Search – Lean Domain Search helps you find a great available domain name in seconds. Dominr – find the perfect domain name, fast. Enloop – Enloop’s free business plan writing app automatically writes your business plan and evaluates your odds of success. StratPad – The world’s highest-rated business planning software. Grow your business using StratPad’s award-winning approach. Law Depot – LawDepot is a leading publisher of do-it-yourself legal forms. Customize legal templates such as wills, prenups and more. Start your free trial today. Rocket Lawyer – Create, store and e-sign contracts, legal letters & agreements online, find a lawyer and access affordable legal services. Manage your legal needs online. BPlans – Bplans offers free business plan samples and templates, business planning resources, How-to articles, financial calculators, industry reports and more! SME Toolkit – Learn how to start your own business, write a business plan, get a loan, small business accounting, and more. Free small business ideas for entrepreneurs. Plan Bold – Having a great plan in one place is great, but bringing everyone together in one online platform, wins. Marketing Donut – Marketing resources and tools for small businesses. Information on advertising, exhibitions, market research, online media, PR and much more. Free Mind – FreeMind is a free mind mapping application. Marketing Plan Now – Marketing plan services and tools for business and non-profit allows you to learn, publish and acquire marketing plans online. MPlans – Working on a marketing plan for your business? Get practical ideas and models from dozens of successful marketing plans, or build your own plan. Desjardins Business Tools – Desjardins offers business solutions to maintain or improve your business’s projects. Invoicetome – Create and send professional looking PDF invoices online. Free and simple online invoice template for your business. Automatically calculates taxes and totals. Free Invoice Generator – Quickly create beautiful invoices for free! … Free Invoice Generator does not store any of your settings on its servers. Instead, all of your settings are saved to the cloud. Slimvoice – No need to compose emails and attach invoices manually. Slimvoice will keep the stray files off your desktop by sending PDFs directly to your client. Mybrightbook – Quickly becoming the worlds most loved Free online bookkeeping system for freelancers, contractors & small businesses. Pandle – Our free simple software helps small businesses to become brilliant bookkeepers. Pandle is cloud-based bookkeeping software made with real people in mind. BeanBalance – BeanBalance provides free online accounting software for small business and contractors in the UK. Quickfile – Accounting Software for UK businesses. QuickFile runs in the cloud, it’s simple to use and free for smaller accounts. Free Invoice Creator – Create online invoices and invoice templates for free. Save, print, email or download invoice PDF’s and get paid. Professional invoices for any business. Invoice Generator – Make beautiful invoices straight from your web browser. No account necessary. Mint – Manage your money, pay your bills and track your credit score with Mint. Now that’s being good with your money. Manager.io – Looking for accounting software? Manager is free accounting software for small businesses. Invoice Home – Create and download professional PDF invoices in seconds with the invoice template gallery, send invoices via email, get paid by card. Slickpie – SlickPie is free accounting software for small businesses, offering online invoicing and billing, automated data entry, bank reconciliation, financial reports, and more. Invoice Berry – Simple and effective online invoicing for small businesses and freelancers. Send invoices, track expenses and keep track of customer payments. Easel.ly – Easel.ly is a simple web tool that empowers anyone to create and share powerful visuals (infographics, posters)… no design experience needed! Infogr.am – Create, publish and share data visualizations, infographics and online charts. Placeit – Insert your app screenshot into iPhone and iPad mockups templates for free. It’s much faster than using a PSD mockup. Fotor – Fotor Photo Editor is a free online designer and editing tool catering to all your photographic and image creation needs! Add filters, frames, text, stickers and more. Kraken – Optimize your images with blazing speed, using powerful API and online web interface. Compressor – Is a powerful online tool for reducing drastically the size of your images and photos whilst maintaining a high quality with almost no difference, before and after compression. Freebbble – What would you think if Freebbble offers higher quality, relatively cheap version of the freebies you can find here? Awesome! Dribble – Show and tell for designers. Pixel Buddha – PixelBuddha is happy to offer exclusive Free and Premium high quality resources for web designers and developers. Fribble – Free PSD downloads and other resources created by Dribbblers, curated by Gilbert Pellegrom. Freeiesbug – Freebiesbug is a web design blog showcasing free, high-quality design resources like PSD files, HTML website templates, fonts and other cool stuff. 365PSD – 365PSD.com – Download a free vector & PSD every day! DBFreebies – Download the best freebies design resources from Dribbble and Behance. Get the latest free PSD for UI, mock-ups, icons, fonts, templates and backgrounds. MarvelApp – Turn sketches, mockups and designs into web, iPhone, iOS, Android and Apple Watch app prototypes. Techandall – Free Graphic Resources for personal and commercial use. Freepik – More than a million free vectors, PSD, photos and free icons. Exclusive freebies and all the graphic resources that you need for your projects. Pixden – Pixeden is hard at work, providing quality premium and free web resources and graphic design templates. Enjoy! UISpace – High quality, hand-crafted PSDs and AI freebies, free fonts, mockups, the latest free icons sets and other free vectorial resources. Adobe Experience Design – Design and prototype websites and mobile apps with Adobe Experience Design. Draw.io – Draw.io is free online diagram software for making flowcharts, process diagrams, org charts, UML, ER and network diagrams. Logo Maker – Need a unique logo? Make a logo for your start-up, small business or organization quickly & easily with this online free logo generator. WIX – Create a free website with Wix.com. Customize with Wix’ free website builder, no coding skills needed. Choose a design, begin customizing and be online today! Weebly – Weebly makes it surprisingly easy to create a high-quality website, blog or online store. Over 40 million people use Weebly to bring their unique ideas to life. Logster – Logster is a quick, easy, and cost effective solution to manage your logs in the cloud. WordPress.org – WordPress is web software you can use to create a beautiful website, blog, or app. We like to say that WordPress is both free and priceless at the same time. Moonfruit – Make a free website or online shop with Moonfruit’s free website builder. No coding skills needed and hosting included. Yola – Make a free website with our free website builder. We offer free hosting and a free website address. Get your business on Google, Yahoo & Bing today. Doodlekit – Free Website Builder is perfect for startups & small businesses. Built-in web SEO ranking tools. Make your own templates. No coding. Zoho Sites – Create a free website with Zoho Sites for any business or occasion. Every free website comes with a free blog, business email and unlimited web hosting. Squarespace – Squarespace is the all-in-one solution for anyone looking to create a beautiful website. Domains, eCommerce, hosting, galleries, and analytics. Jimdo – Create a professional website, online store or blog in minutes with Jimdo’s website builder. Choose one of our responsive templates and get started! uCraft – Ucraft is a free website builder for brands, marketers and designers. Select a template, add your content, connect your domain for free and you are all set! Webnode – You can create and own your website for free, for unlimited time. Make a website at Webnode in a matter of minutes! Zpecommerce – Create a free ecommerce website in minutes. 10000 products and departments. Free ecommerce website. Google Sites – Thinking of creating a website? Google Sites is a free and easy way to create and share webpages. Site Builder – Easily create a free website with SiteBuilder. Choose from 1000’s of templates to make a fantastic website in no time. Building a website has never been so easy. QuickPages – Create, publish and analyze landing pages without any technical knowledge. A free solution available to build high converting landing pages. Canva – Canva makes design simple for everyone. Create designs for Web or print: blog graphics, presentations, Facebook covers, flyers, posters, and more! Pixlr – A free online image editor. Enables you to fix, adjust, and filter images in a browser. TinyJpg – Make your website faster, and save bandwidth. TinyJPG is the best automatic JPEG optimizer, and compresses your JPEG images by 40-60%! ImageOptim – ImageOptim makes images load faster. Removes bloated metadata. Saves disk space & bandwidth by compressing images without losing quality. Evernote Skitch – Skitch provides you with all the tools you need to visually communicate ideas, share feedback and collaborate with friends and co-workers. Recitethis – Create beautiful visual quotes as images. Download and share on your favorite social network. Memegenrator – Insanely fast, mobile-friendly meme generator. Caption memes or upload your own images to make custom memes. Vecteezy Editor – Designed to allow anyone to customize Vecteezy content before they download it, or create beautiful vector designs from scratch directly in your browser. WebPage FX – Hex and RGB colour picker. Get UI Colors – UI Colors provides a quick and simple way to get awesome UI colors for your website or project. Coleure – Smart colour picker. Colllor – Web color palette the right way. Create consistent color schemes. Generate color shades, tones and tint values. Material Palette – Choose your favorite colors and get your Material Design palette generated and downloadable. Flat UI Color Picker – Flatuicolorpicker is a project digging the Flat Color Picker, which gives you the perfect colors for flat designs. Flat UI Colors – Browse a range of flat colours. Coolors – Generate perfect color combinations for your designs. Bjango – Helpful design resources. Couleurs App – Couleurs is a simple app for grabbing and tweaking the colors you see on your screen. Material UI – Google’s material design UI components. Brandcolors – Official color codes for the world’s biggest brands. Paletton – A designer tool for creating color combinations that work together well. 0to255 – 0to255 is a simple tool that helps web designers find variations of any color. Perfect for hovers, borders, gradients, and more. Colour Lovers – COLOURlovers is a creative community where people from around the world create and share colors, palettes and patterns. Color Wheel – Create color schemes with the color wheel, or browse thousands of color combinations from the Kuler community. Pexels – Free stock photos you can use everywhere. Free for commercial use. No attribution required. All the free Stock – AllTheFreeStock.com is a curated list of free stock images, audio and videos. Find all the best free stock images and videos in one place. Splash Base – Search & discovery platform for free, do what you want, hi resolution photos & videos from travelcoffeebook, startupstockphotos, littlevisuals, gratisography. Jay Mantri – Free, do anything (CC0) pics. Moveast – This is a journey of a Portuguese guy moving that decided that every photo should be used for free. Travel Coffee Book – Sharing beautiful travel moments. All photos are listed under cc0. That means you can do whatever you want with them. Designer Spics – Free photographs for your personal and commercial use. This includes websites, presentations, brochures/packaging/labels. Death to the Stock Photo – A photo & inspiration haven for creatives crushing their path. Free photos by email every month. Foodies Feed – Download 1000+ beautiful realistic free food pictures in high resolution and visit our food photography magazine worth sharing. Mazwai – Download free creative commons HD video clips & footages. Jeshoots – Free royalty images. Superfamous – All free images. Magdeleine – Free photo of the day on Magdeleine.co, a blog that features the best free high-quality stock photographies for your inspiration. Little Visuals – Sign up to get 7 hi-res images zipped up in your inbox every 7 days. Use them any way you want. Splitshire – Free stock photos and images you can use for your commercial projects. Instant download. No attribution required. No Copyright. Free Photobank – Free stock photo site. Download pictures up to 2048 pixels, with Creative Commons licence. Free Range Stock – High-resolution stock images and textures for free with photographer ad revenue sharing system. Free Images – More than 16000 FREE digital photographic images for web, publishing, and design. Royalty and cost free stock photos. RGB Stock – Free stock photo site with more than 100000 totally free stock photos online. Dreamstime – Download from over 51 million stock photos, illustrations, vectors & videos from the world’s largest community in royalty-free stock photography. Image Free – Free images to download. Stock Vault – Over 90.000 free stock photos, textures and graphics for your next project. No attribution required. Public Domain Pictures – Home of public domain pictures. Free for private and commercial use. Free Digital Photos – Royalty free images, high quality stock photos and illustrations, perfect for your online and offline projects. Small sized pictures all available free. StokPic – Free high resolution stock photos for commercial use. Kaboompics – Breathtaking free stock images for business or personal projects. We Function – We’re building a collection of the very best free design resources over at Dealotto. PJRVS – Paul Jarvis helps folks connect creativity and commerce. Lock and Stock Photos – Free stock photos to use in any way, anywhere, anytime. Bucketlistly – A free creative common collection of over 4000+ travel photos anyone can use. Get Refe – Royalty-free, high-quality, natural looking photos. Gratisography – Free, use as you please, high-resolution stock photos for personal and commercial projects. Lifeofpix – Royalty free images. Pic Jumbo – Free stock photos. Fontello – Icon fonts generator. Flat Icon – A search engine for 16000+ glyph vector icons. Glyphsearch – Search for icons from other icon databases. MakeAppIcon – Generate App Icons of all sizes with a click. Endless Icons – Free flat icons and creative stuff. Ico Moon – 4000+ free vector icons, icon generator. The Noun Project – Thousands of glyph icons from different artists. Perfect Icons – A social icon creation tool. Material Design Icons – 750 Free open-source glyphs by Google. Icon Finder – Free icon section of the website. Fav Icon Generator -Easily convert your favorite digital image into a favicon, a Facebook profile picture, icon or banner, a Twitter profile picture or icon, or simply crop and resize an image for many other popular online uses. Loggly – The world’s most popular cloud log management service delivers application intelligence. Firebase – Firebase gives you the tools and infrastructure you need to build better apps and grow successful businesses. New Relic – Offers a performance management solution enabling developers to diagnose and fix application performance problems in real time. Segment – Segment is trusted by thousands of companies as their Customer Data Platform. Collect user data with one API and send it to hundreds of tools. Import.io – The world’s leading web data extraction platform for businesses and individuals. Lets encrypt – Let’s Encrypt is a free, automated, and open certificate authority brought to you by the non-profit Internet Security Research Group. Cloudflare – Here at Cloudflare, we make the Internet work the way it should. Offering CDN, DNS, DDoS protection and security, find out how we can help your site. SSL Server Test – A comprehensive free SSL test for your public web servers. HSTS preload list – Submit domains for inclusion in Chrome’s HTTP Strict Transport Security (HSTS) preload list. Secure Site Check – Web site security monitoring and malware removal. Pingometer – Monitor the uptime, downtime, and performance of websites. Get 24/7 monitoring. Uptime robot – Service that monitors websites at five minute intervals. Eager – Improve your website for free with plugins you can install in seconds. Dotcom Tools – Complete suite of free web performance test tools including: website speed, web server performance, email server test, DNS traceroute, and ftp servers. Snowy Evening – Bug tracking for your website. Web Page Test – Run a free website speed test from around the globe using real browsers at consumer connection speeds with detailed optimization recommendations. Load Impact – Load test your website, app or API instantly with up to 1.2 million concurrent users. Nibbler – Free tool for testing how good your website is, and what you can do to improve it. Check accessibility, SEO, social media, compliance and more. GitHub – Online project hosting using Git. Includes source-code browser, in-line editing, wikis, and ticketing. Free for public open-source code. BitBucket – Collaborate on code with inline comments and pull requests. Manage and share your Git repositories to build and ship software as a team. Responsinator – See what your website looks like on all devices. Logmein – Get in and go with remote access from LogMeIn. Enjoy the freedom to work from anywhere by accessing desktop and laptop computers over the web. Pagelocity – Pagelocity is a webpage optimization tool. Page Scoring – This tool will check everything from your domain resolving speed to your download times. Dotcom Tools – Run a free website speed test! Check page load speed from 20 global locations. Test real web browsers: IE, Chrome, Firefox, mobile. Analyze your site today. Load Impact – Load test your website, app or API instantly with up to 1.2 million concurrent users. Get unlimited tests with a free trial. Uptrends Page Test – Analyze your website speed on an elemental level, identifying bottlenecks caused by bloat, and third-party scripts. Magento – Magento Community Edition is a FREE Open Source eCommerce Platform giving small businesses the software and eCommerce framework to successfully sell. Google Merchant Centre – Use Merchant Tools from Google Merchant Center to upload your product data and let millions of shoppers see your online and in-store inventory. Google Trusted Stores – Help increase your conversion rates, build customer trust, and offer purchase protection for your customers by becoming a Google Trusted Store. M2EPro – Control your inventory, implement various pricing strategies and succeed when selling on eBay, Amazon and Rakuten. OpenCart – Everything you need to create, scale and run your business. OS Commerce – We provide you the tools to set up your very own complete and self-hosted online store and website for free to securely sell products and services to customers worldwide. CubeCart – CubeCart is a powerful free ecommerce solution enabling thousands of merchants globally to sell digital or physical products online. Prestashop – Create a free online store. Web Scraper – A free tool to scrape dynamic web pages. Stripe – Stripe builds the most powerful and flexible tools for internet commerce. Currently handling billions of dollars every year for forward-thinking businesses around the world. PayPal – Discover PayPal, the safer way to pay, receive payments for your goods or services and transfer money to friends and family online. Go Cardless – GoCardless is the easy way to collect Direct Debit. Already serving more than 20000 businesses, perfect for recurring billing and B2B invoicing. Lastpass – Password manager, auto form filler, random password generator & secure digital wallet app. Chrome Password Manager – You can have Chrome remember your passwords for different sites. Firefox Passwords – Firefox includes a Password Manager that can save the passwords you use to log in to websites. Enpass – The world’s best password manager for free for iOS, Android, Windows, Linux and Mac. Enpass saves and encrypts data offline & creates strong passwords. Dashlane – Dashlane is rated the best password manager. Autofill with our free form filler. Save receipts, payment types, passwords & personalize your digital wallet. Box – Box is changing how you manage content across your business from simple file sharing to building custom apps. Dropbox – Dropbox simplifies the way you create, share and collaborate. Bring your photos, docs, and videos anywhere and keep your files safe. Onedrive – Get to your files from anywhere, on any device, with Microsoft OneDrive. Drp.io – Free, fast, private and easy image and file hosting. Hello Sign – Sign with confidence! HelloSign’s secure electronic signatures are business-caliber, easy-to-use, and legally binding. DigiSigner – Sign documents online using electronic signature. Get legally binding signatures from others. GoNitro – Securely sign, approve, collaborate, and manipulate your documents online and on your desktop. Wetransfer – WeTransfer is the simplest way to send your files around the world. Seshi – Easy and fun way to exchange any files to anyone, anywhere. WeSendIt – WeSendit is the safest and easiest way to send large or small files, no registration required! Transfer big files up to 20GB for free to any email. Hightail – Hightail is the best way to collaborate on creative projects. Easily send and share large files securely and get feedback in one place. Screen O Matic – Screencast-O-Matic is trusted by millions of users to create and share screen recordings. Jing – A simple way to start sharing images and short videos of your computer screen. Mailinator – Free web-based addresses created as messages are received, with no registration required. Messages are deleted after a few hours. Maildrop – MailDrop provides free disposable e-mail addresses for use in web forms, app signups, or any other place you’d like to protect your privacy. Maildu – Just use any name@maildu.de when you sign up somewhere or if you just want to test a service without filling your own inbox. 10 Minute Mail – Temporary disposable e-mail service to beat spam. Avoid spam with a free secure e-mail address. Skype – stay in touch with family and friends for free. Get international calling, free online calls and Skype for Business on desktop and mobile. Slack – Slack brings all your communication together in one place. It’s real-time messaging, archiving and search for modern teams. Hipchat – HipChat is group chat built for teams & business. Free for unlimited users, enjoy unlimited group chat, video chat & screen sharing. Evernote – Collect, nurture, and share ideas across desktop and mobile platforms with Evernote. Your thoughts are always with you, always accessible, always in sync. Skitch – Get your point across using a few words and annotations. Google Docs – Google Docs brings your documents to life with smart editing and styling tools to help you easily format text and paragraphs. ToDo.vu – Purpose made to help teams manage tasks for clients and in-house projects. Asana – Track projects from start to finish. easynote.io – Easynote is best task manager and team collaboration tool for you! Perfect for project management and it´s totally free. MeisterTask – MeisterTask is the most intuitive collaboration and task management tool on the web. Sign up, invite your team and start working. Pintask – Make yourself a perfect task tracker; includes Kanban board. Todo Cloud – Get things done on your own or as a group and access your tasks, projects, and checklists on all your devices. Todoist – Trusted by millions, Todoist is the best online task management app and to do list. TrackingTime – Whatever your question is, every app section in TrackingTime PRO provides you with the analytics tools you need to make the right decision. Wrike – Wrike is an online project management software that gives you full visibility and control over your tasks. Yanado – Task management inside Gmail. Centrallo – An elegantly simple organization tool that will always keep you on track. SamePage – Our team collaboration and messaging tools help your team get more done. Chat online with co-workers, manage tasks, collaborate in real time, and share files. Producteev – Producteev is the world’s best task management software for teams. It’s more than an online to-do list and has helped hundreds of thousands of teams get work done. Google Keep – Capture what’s on your mind. Add notes, lists, photos, and audio to Keep. Air Table – Airtable fields can handle any content you throw at them. Add attachments, long text notes, checkboxes, links to records in other tables—even barcodes. Whatever you need to stay organized. Togglr – Best time tracking system for a small business. A simple online timer with a powerful timesheet calculator. Syncs with iOS & Android app. Time Doctor – Time tracking and time management software with screenshots to help you get a lot more done each day. Worksnaps – A remote time tracking service for your remote team, leveraging screenshots as proof of work completed. Calendly – Say goodbye to phone and email tags for finding the perfect meeting time. Organize your meetings with Calendly to find a time that suits everyone. actiTime – Simple yet powerful timesheet software for any businesses. actiTIME is the easiest way to track and manage time efficiently. Get Time Flow – Track your time from any device. Create, visualize and download your hourly reports by client, user, etc. My Hours – My Hours is a time tracking service you will actually keep using. Organize yourself and your team. Bill your clients, build a business. T Sheets – Employee time tracking software with GPS. TSheets takes the pain out of payroll, reporting & invoicing. Free, unlimited support. Account Sight – Use AccountSight to keep an eye on your accounts receivables for a healthy cash flow. AccountSight offers powerful reports from the user-friendly dashboard. Free Timesheet Templates from Time Doctor – Free timesheet templates so you can keep track of your employees working hours. BIP.io – Rapidly create workflows with the cloud components you love, no programming required. Flow by Microsoft – Automate repetitive tasks by integrating your favorite apps with Microsoft Flow. Process St – Process Street is a simple, free and powerful way to manage your team’s recurring checklists and procedures. Lytespark – Looking for a meeting experience that’s fast and flexible? LyteSpark’s branded video conferencing rooms are free and tailored to you, requiring no download. GotoMeeting – Work can happen anytime, anywhere. GoToMeeting’s video conferencing software is a simple yet powerful way to collaborate in real time. Google Hangouts – Hangouts bring conversations to life with photos, emoji, and even group video calls for free. Connect with friends across computers, Android, and Apple devices. Free Conference Call – A leading conference call service provider offering free conference calling with a full suite of collaboration tools! JoinMe – Free screen sharing, online meetings and team collaboration. 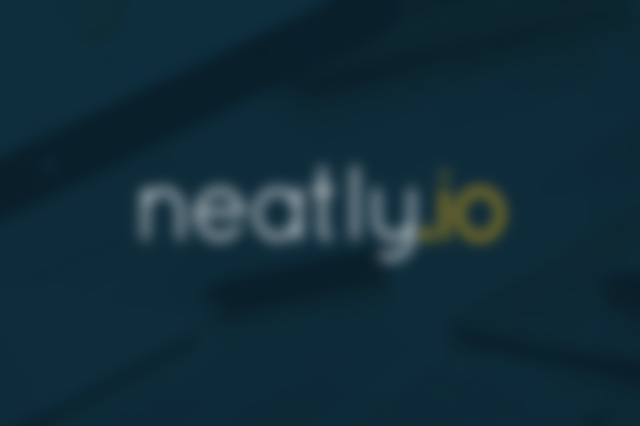 Neatly – Connect all of your business data, analytics, accounting & social media, in 1 real-time dashboard. Dasheroo – Track your important KPIs for overall business analytics, web analytics, marketing, social media and sales, in one great-looking free business dashboard. Baremetrics – Subscription Analytics and Insights: one click and you get hundreds of valuable metrics and business insights. Clearly Inventory – An easy online inventory management software for small business and organizations – web based, fast, sharable. Skyware Inventory – Web-based inventory tracking software brought to you by Open Sky Software, provider of custom inventory management software. The Canvus – Stockpile is a free online inventory management system for small and medium-sized businesses. Freshsales – Freshsales is a fully-fledged customer relationship management software made for high-velocity sales teams with lead management, contact management. Capsule CRM – Online CRM for individuals, small businesses and sales teams wanting a simple, effective and affordable solution. Manage your contacts and their history. Drift – Drift is a messaging app that makes it easy for businesses to talk to their website visitors and customers in real-time, from anywhere. Intercom Observe – The Intercom Platform shows you who your customers are and what they do in your app. Zoho CRM– Run your entire business with Zoho’s suite of online productivity tools and SaaS applications. Fresh Desk – Online help desk and customer support software that allows one to support customers over email, phone, the web, Twitter and a company’s Facebook page. Bettersalez – A web-based simple sales tracking solution created especially for freelancers and consultants. HubSpot CRM -Organize, track, and sell with Hubspot’s easy to use inbound CRM system. Apptivo – Grow your business with Apptivo’s free online CRM, project management, invoicing & timesheets software. QR Loyalty – Our QR code allows your business to connect your Loyalty Card program to a centralized database; which in turn enables you to access features unavailable using traditional punch cards; without having to use special and expensive cards and readers. Freshchat – Freshchat is the fastest way to engage with your website visitors and convert them into customers through Live Chat. My Live Chat – 100% free live chat software. Live Chat – Live chat software and help desk software for business. Over 17000 companies from 140 countries use LiveChat. Free to Book – An easy to use booking system for your hotel, bed and breakfast, cottage, hostel or guesthouse. Eventbrite – Eventbrite brings people together through live experiences. Discover events that match your passions, or create your own with online ticketing tools. Meetup – Find Meetups so you can do more of what matters to you. Or create your own group and meet people near you who share your interests. Typeform – Build beautiful, engaging, and conversational online forms, surveys, quizzes, landing pages, and much more with Typeform. Wufoo – Wufoo’s HTML form builder helps you create online web forms. Use this web form creator to power your contact forms, online surveys, and event registrations. Tally – Create polls in no time. 123 Contact Form – Create contact forms or any other type of web forms for free with the HTML form builder. It is so simple to use, that only copy and paste skills are required. Formsite – Free and commercial services to create database-backed HTML forms using only a web browser. Results can be downloaded and optionally emailed. Jotform – If you need online forms for generating leads, distributing surveys, collecting payments and more, JotForm is for you. Cognito Forms – A free online form builder that helps you easily create powerful forms for your website. Create contact forms, registration forms, order forms, surveys, and more. Doodle – Doodle radically simplifies the process of scheduling events, meetings, appointments, etc. Herding cats gets 2x faster with Doodle. Piwik – Piwik is the leading open-source analytics platform that gives you more than just powerful analytics. Open Web Analytics – Open Web Analytics (OWA) is open source web analytics software that you can use to track and analyze how people use your websites and applications. Clicky – Monitor, analyze, and react to your blog or web site’s traffic in real time. Similar Web – Compare website traffic with SimilarWeb.com’s advanced traffic estimator tool. See any website’s traffic sources & uncover their online marketing strategies. SEM Rush – SEMrush is a powerful and versatile competitive intelligence suite for online marketing, from SEO and PPC to social media and video advertising research. Stat counter – A free yet reliable invisible web tracker, highly configurable hit counter and real-time detailed web stats. Applyzer – APPlyzer ships worldwide app store rankings for iOS, tvOS, Mac and Google Play for every country and category. Hourly rankings, history data and graphs. Heap Analytics – Automate the annoying parts of user analytics. No more manual anything; just insights. Hotjar – See how visitors are really using your website, collect user feedback and turn more visitors into customers. Crazy Egg – Through Crazy Egg’s heat map and scroll map reports you can get an understanding of how your visitors engage with your website so you can boost your conversions. iWeb Track – Web analytics, visitor tracking & hit counter for your website. YouTube Analytics – Monitor the performance of your channel and videos using YouTube Analytics, YouTube’s interactive reporting system. Facebook Insights – A powerful tool that shows you how users are engaging with your page and posts. Twitter Analytics – Measure and boost your impact on Twitter. Mixpanel – Deeply understand every user’s journey with instant insights for everyone on mobile and web. Optmizely – Try the world’s leading experimentation platform. Peek – Get a peek into the mind of your users. Boomerang – Boomerang adds scheduled sending and email reminders to Gmail. Email Hunter – Hunter is the easiest way to find professional email addresses. Give a domain name and get the list of all the emails related to it found on the internet. Wappalyzer – Wappalyzer uncovers the technologies used on websites. If you’re a web developer or just have an interest in software on the web, go ahead and install the app. Ifnoreply – Ridiculously simple email automation that works from your Gmail. For salespeople, startups and agencies. Linkedin – The social network for professionals. Builtwith – Web technology information profiler tool to find out what a website is built with. Notify – Find out whenever your Startup gets mentioned on Twitter, Facebook, Instagram, Youtube, Google+, Blogs, Forums, News, Reddit, Medium, or Hacker News. Sumo Me – SumoMe is a suite of free tools that can be used to grow your website’s traffic. The SumoMe tools are easy to install and work on any website. Hello Bar – Convert more visitors into customers with Hello Bar. Visual Ping – Visual Ping is the easiest to use website checker, webpage change monitoring, website change detector and website change alert software of the web. Marketing Grader – Website Grader is a free online tool that grades your site against key metrics like performance, mobile readiness, SEO, and security. Mautic – Mautic provides free and open source marketing automation software available to everyone. Google Trends – See the latest trends, data and visualisations from Google. Find out what’s trending near you right now. Sumo Me List Builder – Grow Your Email List with List Builder. List Builder converts one-time visitors into lifelong readers and email subscribers. Sumo Me Scroll Box – Politely grow your email list with Scroll Box. Content Row – Content marketing tools made by experts hell-bent on creating awesome, shareable content that converts. HubSpot Title Generator – Fill in the fields with terms (preferably nouns) that you’d like to write about, and this tool will come up with a week’s worth of relevant blog post titles in a matter of seconds. Portent – Content Idea Generator. Co Schedule Headline Analyzer – Use proven research to write the best headlines. Make sure you have the right balance of common, uncommon, emotional, and power words in your headlines. Sumo Me Headline Generator – Not sure what headline to use for your next post? This automatic headline generator has you covered! Hemingway App – Hemingway App makes your writing bold and clear. The app highlights long, complex sentences and common errors. Medium – A place to read, write, and interact with the stories that matter most to you. Slideshare – Discover, share, and present decks and infographics with the world’s largest professional content sharing community. ZenPen – A minimal text editor, made to stay out of the way while you get the words down. Storywars – Collaborative writing, done differently. AmInstitute – This free tool will analyze your headline to determine the Emotional Marketing Value (EMV) score. EggTimer – A simple countdown timer, or egg timer. Set a time and bookmark it for repeated use. WriteRack – WriteRack is the best way to Tweetstorm. With WriteRack, you can Tweet more than 140 Characters on Twitter. Spruce – Spruce turns your words into beautiful images to share on Twitter — in seconds. It’s the fastest, easiest way to create images for social media. Disqus – Disqus offers the best add-on tools for websites to increase engagement. We help publishers power online discussions. Grammarly – Online proofreading tool that checks text for grammar, punctuation, and style, and features a contextual spelling checker and plagiarism detector. Buzzstream – BuzzStream is web-based software that helps the world’s best marketers promote their products, services and content to build links, buzz, and brands. Plagium – Plagiarism checker & plagiarism detection. Thinkific – Thinking about running a course? Thinkific is the all-in-one platform for independent experts and entrepreneurs to create, market and sell online courses. Start free! Blubrry – Podcast hosting, statistics, wordPress hosting, PowerPress plugin, the largest Podcast Directory in the World, and more. GarageBand – With a fresh new look and new features, GarageBand is the easiest way to create a great-sounding song on your Mac. Jahshaka – Jahshaka is a open source virtual reality, media management, playback, editing, compositing and special effects suite. iMovie – iMovie for iOS and iMovie for macOS make it easy to turn your photos and video clips into stunning movies or trailers and share them with the world. Ardour – A multichannel digital audio workstation. Simple VoiceBox – Discover the advantages of Simple VoiceBox, an intuitive voicemail service. Podomatic – Home of the best mixes on planet Earth – DJs, performing artists, educators, and more. TalkShoe – TalkShoe is a website for user-generated live and recorded voice content. Users can host and join live voice discussion groups, radio talk shows, and conversations. Vozme – Online tool that offers applications and services to convert text into speech. Biteable – Make a video online for free with the video maker & animation maker at Biteable.com. Create presentations, explainers, infographics, ads, intros and more. Animaker – Animaker is an online do-it-yourself (#DIY) animation video maker that brings studio quality presentations within everyone’s reach. Animatron – Make engaging and compelling animations online for your business or school. Create explainer videos, animated marketing videos, training videos. Renderforest – Renderforest is free online slideshow maker and animated video maker. Create slideshows, promotional and explainer business videos, logo animations. Wistia – Wistia provides professional video hosting with viewer analytics, HD video delivery, and marketing tools to help understand your visitors. Vimeo – Join the web’s most supportive community of creators and get high-quality tools for hosting, sharing, and streaming videos in gorgeous HD and 4K with no ads. Flipboard – Flipboard is your personal magazine. It is the most popular way to catch up on the news you care about. Protopage – An award winning RSS reader. Conspire – Conspire tells you exactly how to get the best introduction to whoever you want to meet — a customer, employer or investor. CharlieApp – Charlie combs through 100s of sources and automatically sends you a one-pager on everyone you’re going to meet with, before you see them. Onalytica – Find influencers with your content. HARO – HARO provides journalists with a robust database of sources for upcoming stories and daily opportunities for sources to secure valuable media coverage. Submit.co – Where to get press coverage for your startup. Source Bootle – A free online service that connects journalists with sources. Onlineprnews – SEO press release distribution site for SEO and Social Media. Use OPN’s press release services to submit online press releases & get exposure! Newswire – PR Newswire’s news distribution, targeting, monitoring and marketing solutions help you connect and engage with target audiences across the globe. Pr Inside – Submit your press releases. Pr.com – Find businesses, products, services, jobs. Also offers company profiles, press release distribution and published articles. Prlog.org – Free press release distribution service. JustReachOut – Help you pitch journalists and press daily all on your own without the help of PR firms. Mailchimp – MailChimp provides email marketing for more than 14 million people globally. Send better emails, connect your e-commerce store, and sell more stuff. Email Octopus – Manage and email your subscribers for far cheaper by connecting your Amazon SES account. Powerful analytics, bounce/complaint tracking and more. Inbox Inspector – Preview your emails in more than 20 popular email clients on desktop and mobile devices all in one place. MotionMailApp – MotionMail offers free countdown timers for your email. Increase engagement, conversions and sales by enhancing your marketing emails. Email designer – Bring your email styles inline. Send Pulse – Integrated service to manage email, text and webpush campaigns. Create and send newsletters. Sendgrid – Delivering your transactional and marketing email through one reliable platform. Maillift – Handwritten letter service built for sales and marketing. Increase sales with handwritten letters. Senderbase – The world’s largest Email and Web traffic monitoring network. Senderscore – Find out your email reputation score from Return Path’s Sender Score reputation rank. Reputation Authority – WatchGuard gives you powerful firewall and VPN appliances for small and medium-size enterprises. Barracuda Central – Check your IP’s reputation. Trusted Source – McAfee provides an online tool that enables you to check if a site is categorized within various versions of the SmartFilter Internet Database or the Webwasher URL Filter Database. Emailonacid – Email on Acid offers email testing & email marketing tools to help get you the most out of every campaign. Spamcheck – Have you ever wanted to process the spam score of incoming or outgoing email messages, but didn’t want the hassle of managing Spam Assassin? Here’s the tool for you. Mailtester – Online tool to test an e-mail address. Find out if it is valid, why it bounces or what type of mailserver the mailbox is on. HTML Mail Designs – Beautiful emails to help inspire your next email design. Great Email Copy – A dose of well-crafted emails from around the web. A fun project from Customer.io. Really Good Emails – The best email designs in the universe (that came into my inbox). Rival Explorer – Search for any brand and dive into their marketing program with Rival Explorer. Beetle Email – See your competitors emails, get design inspiration and gain statistical insight. Browse and search over a million emails on Beetle. Email on Deck – Free and fast temp emails in 2 easy steps. Send Check It – Keep bad links, missing images and other embarrassingly public screw ups out of your marketing emails. Vertical Response – Vertical Response offers email marketing as one component of its host of marketing products, which also includes social media marketing, event marketing, online surveys and other applications. Free for up to 300 subscribers. FreshMail – FreshMail is totally free for up to 500 subscribers and 2,000 emails per month. This interface offers an impressive set of features for email marketers, including A/B tests, time-optimized messages, transactional emails and auto-responses. Benchmark Email – Benchmark Email’s editor works just like a Word document, for totally streamlined and simplified design—even if you’re not a skilled designer. MailerLite – MailerLite is FREE for up to 1,000 subscribers, and there is no limit on the number of emails you can send per month. Email on Deck – is the premier site for all things relating to temporary, disposable and throwaway email addresses. BeeFree – helps people design beautiful emails that display well everywhere. Subject Line – Over 4 Million subject lines tested, check your subject line with this tool. Subject Line Checker by Adestra – Use this checker to find out which keywords will boost or drop your email success rates. Buffer – Buffer makes it super easy to share any page you’re reading. Keep your Buffer topped up and we automagically share them for you through the day. Hootsuite – Enhance your social media management with Hootsuite, the leading social media dashboard. Manage multiple networks and profiles and measure your performance. MySocial Gram – Manage multiple Instagram profiles from your computer. Quuu – Quuu is a hand curated content suggestion platform that connects to your Buffer queue, allowing you to grow a relevant social media following. Bit.ly – Get the most out of your social and online marketing efforts. Track the links that you share online. Social Oomph – Boost your social media productivity. Social Crawlytics – Identify the influencers and your competitor’s most shared content and find out who shared their content. Picstats – Instagram analytics tool. Sharetally – Share Tally is a free tool that gives you social sharing data from tons of different social networks. Snip.ly – Sniply adds your custom call-to-action to any page on the web, allowing you to engage your followers through every link you share. Reddit later – Later (for Reddit) helps you time your posts to Reddit so more people see them. Likeable Hub – Manage your social media smarter & faster. Mav Social – Make visual content marketing easier by centrally storing, managing & publishing images & videos to 6 social networks + visual analytics. RaffleCopter – Rafflecopter is the world’s easiest way to run a giveaway online. Launch and manage your next giveaway in minutes with no coding or I.T. help! Timing – Easily see the best time for you to post on Google+ for the greatest impact. Later – The simpler way to plan visual content marketing. Social Rank – The easiest way to identify, organise and manage followers on Twitter and Instagram. Klout – Klout helps people who want to be great at social media. Join today to start sharing original content and measuring your online impact. Crowdriff – Source, organize, publish and optimize the best UGC and owned visuals. Filament – Flare is a beautiful and customizable sharing bar that enables your visitors to share your content better. Addthis – AddThis share buttons, targeting tools and content recommendations help you get more likes, shares and followers and keep them coming back. Buffer Respond – Most social media tools are built for marketing, not customer service. Respond is designed to keep your support team perfectly in sync. CrowdfireApp – Manage your Twitter and Instagram accounts with Crowdfire. Followerwonk – Followerwonk helps you explore and grow your social graph. Dig deeper into Twitter analytics: Who are your followers? Where are they located? Co Schedule Click to Tweet – Make it easier for readers to share your content with this tool. Google Alerts – Monitor the web for interesting new content. Slacksocial – SlackSocial is a free social media management tool. It’s one stop solution for managing all your social networks and profiles. Riffle – Twitter vitals, no matter where you are on the web! Circular – An open source Buffer app. Content Gems – ContentGems is a content discovery engine. Everyday, it scans hundreds of thousands of articles from the best online sources. Juxtapost – A fast, free and simple way to bookmark images while you surf so that you never forget that neat shirt you wanted, or that amazing idea you just saw. Storify – Create stories using social media. Turn what people post on social media into compelling stories. Collect the best photos, video, tweets and more to publish. Triberr – A community of talented Bloggers and Influencers come together to read and share great content. eLink – elink is an all-in-one content marketing tool to curate and publish email newsletters and web pages in minutes. Grow your audience and increase engagement. Pearltrees – Pearltrees is a place to organize all your interests. It lets you organize, explore and share everything you like. List.ly – Top 10 lists authored by the Listly community of bloggers and publishers. Make cool lists and fun listicles on Listly, share them on Facebook and Twitter. Rebel Mouse – Leading publishing platform for distributed content. Empower creators to grow audiences, fast. Thinglink – What truly sets ThingLink apart is the diverse range of rich media you can easily layer on top of your content. Diigo – Diigo is a powerful research tool and a knowledge-sharing community. Scoop.it – Create and grow your online presence in minutes by publishing curated content. Del.ico.us – Keep, share, and discover the best of the Web using Delicious, the world’s leading social bookmarking service. HeadSlinger – All the news, half the time. Scan your favorite sites’ headlines in a matter of seconds. Store your favorite news sources in quick, easy to find folders. Addict O Matic – Inhale the Web. Addictomatic searches the best live sites. Curation Soft – CurationSoft enables content curation on a whole new level. This content curation tools will help you establish your brand as an authoritative voice. Back.ly – Drive traffic back to your site with every link you share by adding your own message to any piece of content. Marketing Sorcd – Build a repository of valuable information that can be easily shared and accessed, and break down the information silos. Get Stencil – Ridiculously simple image creation for social media marketers, bloggers and small businesses. Yoast Extension – This Firefox extension gives you a bit more information when opening such pages, it gathers the PageRank for the linking page, the anchor text used on the link, and checks whether the link is nofollowed or not. Alexa – Alexa provides analytical insights to benchmark, compare and optimize businesses on the web. Keywordtool.io – Best #1 FREE alternative to Google Keyword Tool for SEO & PPC keyword research! Get 750+ relevant long-tail keywords from Google Suggest in seconds. Google PageSpeed Insights – The PageSpeed tools analyze and optimize your site following web best practices. Moz Keyword Explorer – One tool to discover and prioritize the best keywords to target. Screaming Frog – The Screaming Frog SEO Spider is a desktop program (PC or Mac) which crawls websites’ links, images, CSS, script and apps from an SEO perspective. Quicksprout website analyzer – Grow Your Website. Quick Sprout is the easiest way for you to know what is happening on your website and how to improve your website to grow your traffic. SERPs rank checker – International and local keyword rankings. Check keyword rankings positions in Google or Yahoo from over 100 country and language combinations. SEO site checkup – With our free on-page SEO tools, you can instantly check to make sure your on-page SEO is correct and we will also give you a number of tips. Search Metrics – The Searchmetrics Suite for enterprise companies is the global leader in SEO marketing and analytics, SEO optimization, social and content marketing. aHrefs – Ahrefs is a toolset for SEO and marketing. Includes tools for backlink research, organic traffic research, keyword research, content marketing & more. RankTank – Free SEO tools for you to use. Take them, use them, and even build new tools out of them. SEO tools for excel – Excel plugin for working with online marketing. Create SEO reports and dashboards. More than 100 functions for growth hacking your company to the top. Open Link Profiler – 200,000 fresh links per site. Get an in-depth analysis of the freshest live backlinks. Lovesdata – A selection of awesome SEO reports. Small SEO Tools – 100% Free SEO tools. Let’s use and feeling. Unique content checker, unique content rewriter, keyword position, online ping website tool. Sitemap Generator – Offers a sitemap generator that creates XML and HTML variants. Free up to a maximum of 500 pages or purchase a script for unlimited use. Google Search Console – Track your site’s search performance with Google Search Console and browse around for Google Webmasters support, learning and community resources. Bing Webmaster Tools – Use to improve your site’s performance in search. Get access to free reports, tools and resources. GT Metrix – GTmetrix is a free tool that analyzes your page’s speed performance. Using PageSpeed and YSlow, GTmetrix generates scores for your pages. Moz Bar – all-in-one SEO toolbar for research on the go. Domain hunter plus – Domain Hunter Plus (DHP) is an unobtrusive Chrome Extension that allows the user to quickly scan the current web page and check for dead links. Adwords Editor – AdWords Editor is a free Google application for managing your ad campaigns. Bing Ads Editor – Save time and improve the performance of your search marketing campaigns. Wordstream Adwords Performance Grader – Get a free, instant report on your Google AdWords account performance with the AdWords Performance Grader. It’s a free PPC audit in under a minute. Mozcast – MozCast is a weather report showing turbulence in the Google algorithm over the previous day. The hotter and stormier the weather, the more Google’s rankings have changed. Serpmetrics – SERPmetrics lets you monitor search campaign performance so you can see whats working and, more importantly, whats not. Algoroo – View changes in ranking for a range of websites. Serp Watch – Monitor changes in desktop search results. Serposcope – Serposcope is a free and open-source rank tracker to monitor websites ranking in Google and improve your SEO performances. Serplab – Free SERP check, track and monitor your search engine keyword ranking quickly and accurately. Serpstat – Smart and powerful tool for: backlinks analysis, rank tracking, keyword research, competitor analysis, site audit. KW Finder – Find hundreds of hidden keywords with low SEO difficulty in seconds. KW Finder is your premier keyword research tool. Sistrix – The SISTRIX Toolbox is the premier tool used by SEO professionals. Data you love, from people you trust. Soolve – Search suggestions and completions from the top providers on the internet. Easy to use, fast and efficient. Hit the right arrow to change engines, and use your arrow keys to search without all the typing. Let the web help. Wordstream – Use our free tools and 20-Minute Work Week to create, optimize, manage, and measure high-performing paid search and paid social campaigns under one roof. Ubersuggest.io – Use Uber Suggest to find keyword ideas not available within Google Keyword Planner. Small Business Calculator – Use our calculators, built specifically for small businesses, to evaluate your current business and forecast where you want to go. Bing Ad Intelligence – Bing Ads Intelligence is a powerful keyword research tool that allows you to build and expand on your keyword lists using the familiar Microsoft Office Excel. Google Keyword Planner – Start by searching words or phrases related to your products or services. Keyword Planner works to find the keywords that are most relevant to your business. Fuzzy – Fuzzy.ai takes your knowledge and intuition about your business and converts that into an algorithm that improves automatically. Wit.ai – Easily create text or voice based bots that humans can chat with on their preferred messaging platform. Spotify – Spotify is a digital music service that gives you access to millions of songs. SoundCloud – SoundCloud is an audio platform that lets you listen to what you love and share the sounds you create. Grooveshark – Listen to any song online for free. Stream free internet radio stations. Pandora – Pandora is free, personalized radio that plays music you’ll love. Discover new music and enjoy old favorites. Last.fm – Online music catalog with free music streaming, videos, photos, lyrics, charts, artist biographies, concerts and internet radio. Product Hunt – Discover your next favourite thing. BetaList – BetaList provides an overview of upcoming internet startups. Discover and get early access to the future. Startups List Collections of the best startups in different places. Skillshare – Unlock your creativity with free online classes & projects. Freecode camp – Learn to code and build projects for nonprofits. Build your full stack web development portfolio today. Moz Whiteboard Friday -A weekly webinar from the Wizard of Moz himself, Rand Fishkin. Go HighBrow – Highbrow is an email subscription service that brings bite-sized courses straight to your inbox every morning. All courses are 10 days long (so you don’t get bored) and are broken down into 5-minute lessons to make sure you can read them with your morning coffee. MakeAWebsiteHub – This site will teach you how to make a website in just 3 easy to follow steps. There’s also lots of useful resources to help you build traffic. Sell Courses Online – How to sell online courses from your own website: A complete beginner’s guide in 10,000 words. Petit Hacks – Acquisition, retention, & revenue hacks used by companies. Foundrs – Co-founder equity calculator. HowMuchToMakeAnApp – Calculate the cost of a mobile application. App vs. Website – Should you build an app or website? Pitcherific – Pitcherific helps you create, train, and improve your pitch. So I managed over 500; I have no doubt missed some off but its a good start. If you can think of any more, let me know in the comments below and I will add them to the list!